Task: to implement a concept. 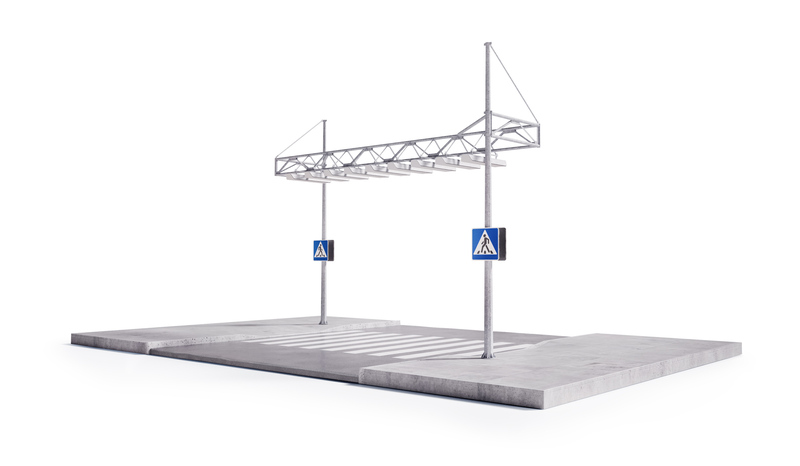 Air Crosswalk is an array of street lamps repeating the pattern used to mark pedestrian crosswalks in many countries. It makes the crosswalk visible from a distance, in the dark and in bad weather, as well as highlights pedestrian, thus increasing road safety. 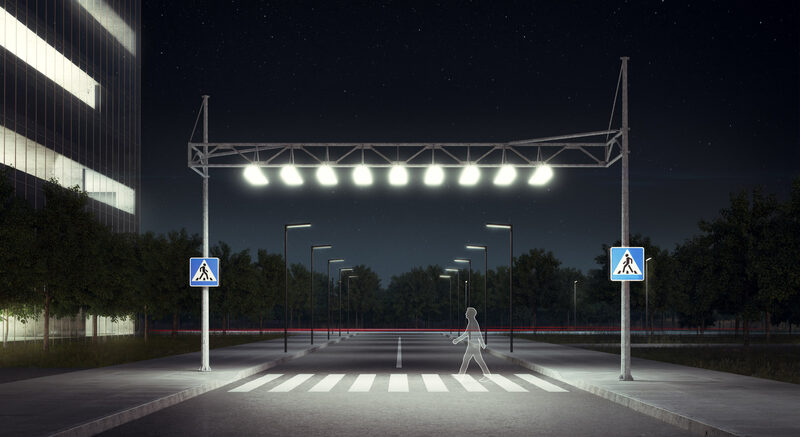 The Air Crosswalk concept was developed in the studio in 2008 and in February 2016 a working prototype was installed on VDNKh grounds in Moscow. The project was developed as part of the Open Inquiries program of the Moscow’s Innovation Agency in partnership with Light Technologies. The prototype follows all road infrastructure standards and employs easily available and efficient production technologies. The pilot Air Crosswalk is located in Siberian Driveway, between the central entrance to Pavilion 75 and Friendship of the Peoples Fountain.